On this page, you can find more ideas for quick easy maths starters deigned to get your class in and focussed. The aim of this multiplication grid starter is to fill in each of the inner squares with the product of the squares at the top and left. e.g. the top left blank square in the picture would be 3x4 = 12, the one below it would be 8x4 = 32 etc. 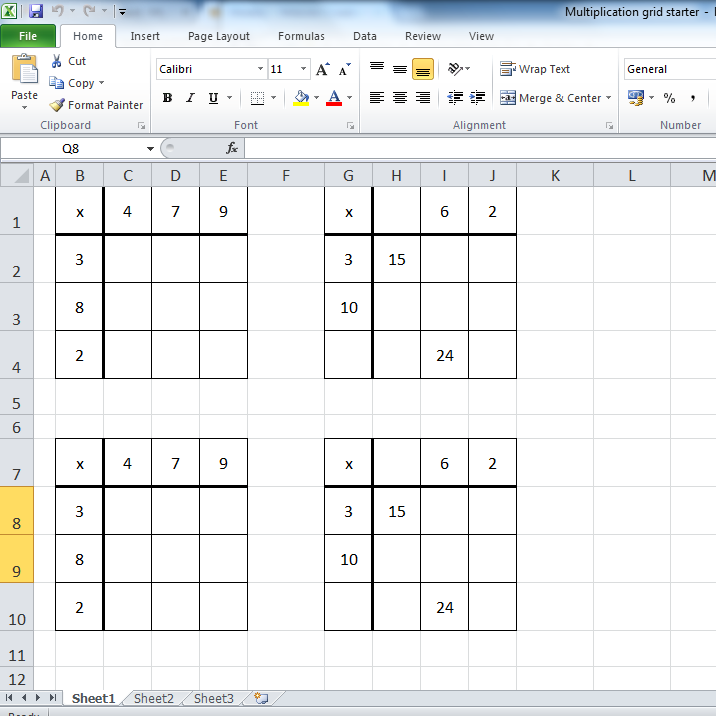 The spreadsheet is designed to print out 5 pairs of grids on one sheet of A4. If the numbers in the top grids are changed, the changes will also appear in the other grids too. On this fully editable Excel worksheet, whenever the second value in the top left question is altered, the rest of the second values also change. Great for practising particular times tables. 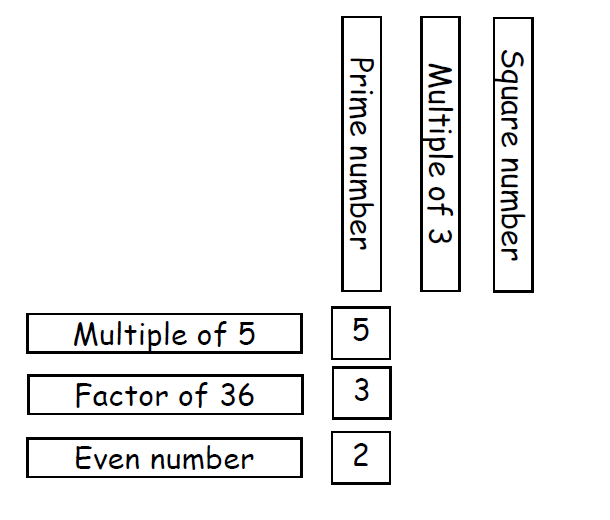 This starter activity comes complete with ten different categories of numbers such as 'Prime number' and 'Multiple of 3', and the numbers 1-25. The aim of the puzzle is to arrange six of the categories into a 3x3 grid, where the categories describe the types of number allowed in that row or column. Not all combinations of category can be completed, part of the skill is to select the correct ones.